HUNTINGTON BEACH, CA – The complete driver package. It’s something every golf manufacturer seeks to realize, a big stick that performs for all levels of players. 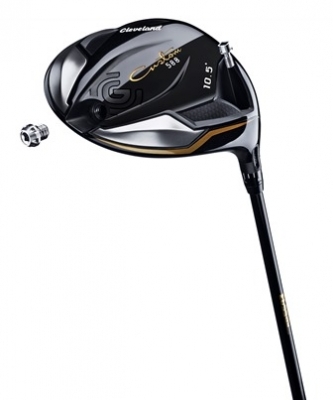 Cleveland Golf believes they’ve found it in the 588 Custom Driver, the company’s latest offering in the premium driver category. 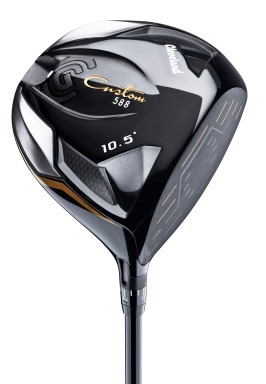 As is suggested by the name, the 588 Custom is intended to be precisely fit to your particular game, an adjustable driver that provides plenty of options. According to the company, the 588 Custom is great for better players because it promotes a high-launch, low-spin flight that allows for easy custom fitting since it’s adjustable. But that doesn’t make it less lenient for the high-handicapper. The variable face thickness still promotes maximum forgiveness on off-center hits and the all-around profile makes it very easy to hit. Unlike the Classic XL Custom, however, the 588 Custom doesn’t have the same compact, deep-faced profile, making it easier to hit for players of all abilities. What also separates the 588 Custom from the Classic XL Custom is enhanced variable face thickness technology, which creates the hottest flight on center strikes and even faster ball speed on off-center hits for maximum forgiveness. Forgiveness – something all players need, from duffers to Tour Pros. The pros may hit the sweet spot a lot more often, but even the best players want better results out of marginal hits. And no doubt, all levels of players will be using the adjustability features in this club. Long gone are the days when skeptics thought people would over-tinker with the different settings on an adjustable golf club. 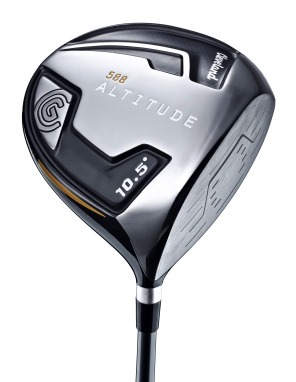 Cleveland also recently introduced the 588 Altitude Driver, which is billed as a great option for less-experienced game-improvement players and those with moderate to slow swing speeds. The main advantage of the 588 Custom model (over the Altitude) is the ability to promote a more precise ball flight through adjustability. 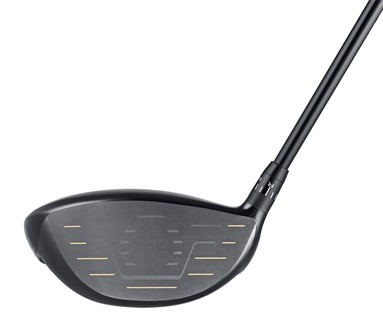 But the 588 Altitude Driver is lighter -- it weighs only 270 grams and is the latest driver to incorporate Cleveland’s Ultralite Technology, which creates more club head speed and distance with the same swing effort. Another technology that helps the slower swing-speed player is Precision Weighting, which promotes the highest, straightest launch with higher MOI for more head stability through impact. “What separates the 588 Custom Driver head from a materials standpoint is that it’s made from Ti 8-1-1, which is lighter than Ti 6-4, thus allowing for more discretionary weight placement,” Miller elaborated. Now we’re getting into technical details, but that’s fine. Every golf connoisseur loves the minute particulars – but I would challenge most people to discuss the finer variations in Titanium. Ditto with shafts. 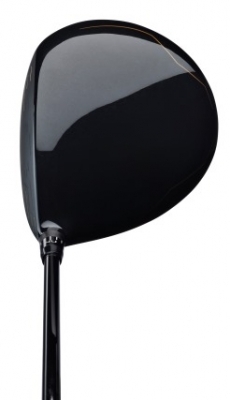 But again, this is an area where custom fitting is vital – and we’re not just talking about adjusting the driver head. Truer words were never spoken. Cleveland Golf offers a range of custom shaft offerings for the 588 Custom Driver and consumers can visit the company’s website to find a local authorized fitter near you. For our part, we chose one of those custom options, selecting the Matrix Ozik 6M3 Black Tie shaft, which is touted for its low-launch, low-spin characteristics. I hit a very high ball, so I was looking for something that would bring the ball down a little bit – and fly straight at the same time. Like all adjustable drivers these days, the 588 Custom is easy to understand (in terms of the settings) and adjust accordingly. Having used several adjustable clubs in recent years, I like to start out in the neutral position and then fine-tune the head after observing ball flight from several hits. I’ve found it’s always important to remember that you can adjust stance, grip and ball position as well as the head, so I personally don’t try to over-adjust based on tendencies. You can adjust the 588 Custom plus or minus 2.25 degrees closed or open, and add or decrease loft by 1.5 degrees. I finally settled on a setting that was .75 open and decreased the loft by .5 degrees (the standard loft on my club is 10.5 degrees). I do have a tendency to slice at times, but my most common miss is a pull-left. So the open setting didn’t necessarily scare me – being mindful of the way the club lies and also making sure the shaft angle was correct at address. Sounds complicated? Not really. But it takes some getting used to, as does every club. 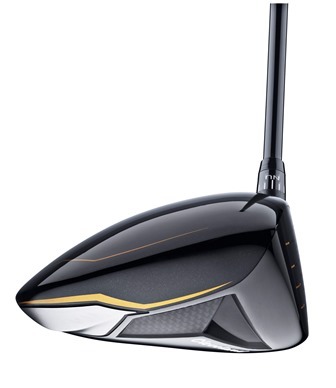 Distance with the 588 Custom was solid and comparable to other high-end drivers. We don’t test clubs scientifically, so we can’t tell who “wins” in these competitions. 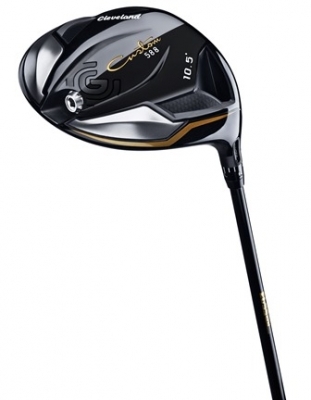 I will say, the feel of the club was enjoyable, and the sound at impact was pleasing, not tinny in the slightest. The 588 Custom is a fine club and deserves its spot among the top drivers available today. We recommend that you get fit – and while doing so, try it with the other high-end drivers. The quality of manufacturing is evident, and just seems to be improving with each year and with all manufacturers’ products. So how does Cleveland feel about the argument that equipment is changing the game too much? There’s little doubt that Cleveland’s 588 Custom Driver goes a long way towards making the game more fun. There’s nothing quite like smoking a drive down the middle of the fairway – it keeps us coming back, doesn’t it? To simplify hosel adjustability, start from the standard “SQUARE” setting: if you struggle with a slice, adjust to “-2.25°” to close the face, which will add 1.5° loft and promote a higher flight. If you fight a hook or prefer a more open look at address, try adjusting to “+2.25°”. For the rear weight, the standard option is 3g, but those adding a custom shaft option shorter than the standard 45.5” shaft length should consider switching to the 7g or 11g option to increase head stability for a smoother and more consistent swing tempo. “Adjustable drivers have already been on the market for over 7 years, so it’s hard to say they’re ‘the future.’ Although the majority of new drivers released this year are adjustable, that doesn’t mean every one of them has to be adjustable. It goes back to market specialization. 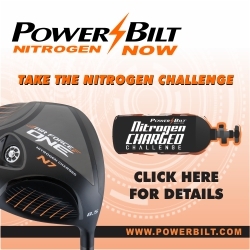 Not every consumer needs an adjustable driver – adjustable drivers cannot be made with the same lightweight, forgiving, easy-to-hit technology as non-adjustable drivers, so as long as there is a market for this need and demand exists, non-adjustable drivers will be made. We have seen success with this type of product in recent years, and we continue to see success with the 588 Altitude. Perhaps a bigger question is, will we ever see a day when every golfer gets custom fit for a golf club(s) before making a purchase? 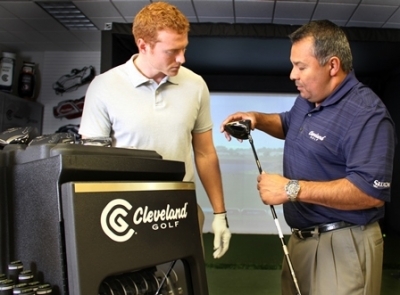 Many golf consumers take this step in the purchase process for granted prior to making a purchase, but many still have never been through a fitting. Cleveland Golf also features quite a selection of putters, irons, wedges and accessories.